A health record serves as a line of communication among health professionals and third-party payers. It provides documentation of a patient’s conditions and treatments and the facts and reasoning behind the chosen treatment. To be useful, records must have sufficient detail and be completed in a timely manner. The health record is primarily a record of care and treatment rendered, and it provides a base of information for subsequent care. It is also a legal document. In many third-party payer audits and malpractice cases, the thoroughness of a health record is the difference between victory and defeat. A well-written, accurate health record not only facilitates the ongoing treatment of patients, but becomes invaluable in risk management. If your safety net dental clinic has more than one health professional who will potentially see each patient, a well-documented record lets each one know what the others have done and what they plan to do, thus aiding in continuity of care. If the clinic provides services besides oral health care services (for example, medical, counseling, or social services), then an integrated electronic health record (EHR) should be used throughout the facility. In order to achieve this, it may be necessary to apply pressure to vendors through the request for proposal (RFP) process, embedding essential requirements within the RFP that are required for vendor consideration. Health record systems should be designed so that they facilitate data collection and analysis for the purposes of program evaluation, quality assurance, and improvement. 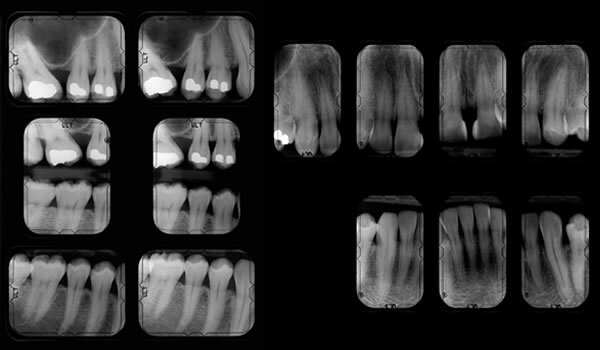 Electronic dental records (EDRs) have customizable features that allow safety net dental clinics to create templates for common clinical care processes such as a health history, oral health exam, and restorative care. In order to maximize the capabilities of the data-collection and reporting functions contained within an EDR, all demographic and health data, to the extent possible, should be captured in an electronic format. As an example, clinics could elect to have a paper health history form that is filled out by the patient and then scanned into the EDR, or they could elect to develop a health history template that is filled out electronically. The latter scenario allows the clinic to efficiently collect and report on important health indicators such as the percentage of patients in the clinic who report being diabetic. Safety net dental clinics still require some forms, such as informed consent forms for oral health procedures; however, even these can be provided to patients in an electronic format and signed digitally within the EDR. This has the added benefit of reducing the burden of paperwork, which results from the subsequent need to scan paper copies of the informed consent forms into the EDR. The clinic should strive to utilize electronic versions of all forms with patients signing within the EDR, thus eliminating those extra steps. The health records of deceased patients and patients who have not been seen at the facility for an extended period of time can be archived electronically within the EDR. They should not be deleted, as most state laws require that records be maintained for at least six years, and many attorneys and malpractice insurance carriers recommend that they be kept indefinitely. If a clinic is transitioning to a new EDR and prefers to transfer only active patients into the new system, inactive patient charts should be electronically scanned and archived onto a secure external hard drive. Learn more about oral health terminology and abbreviations to aid in charting.